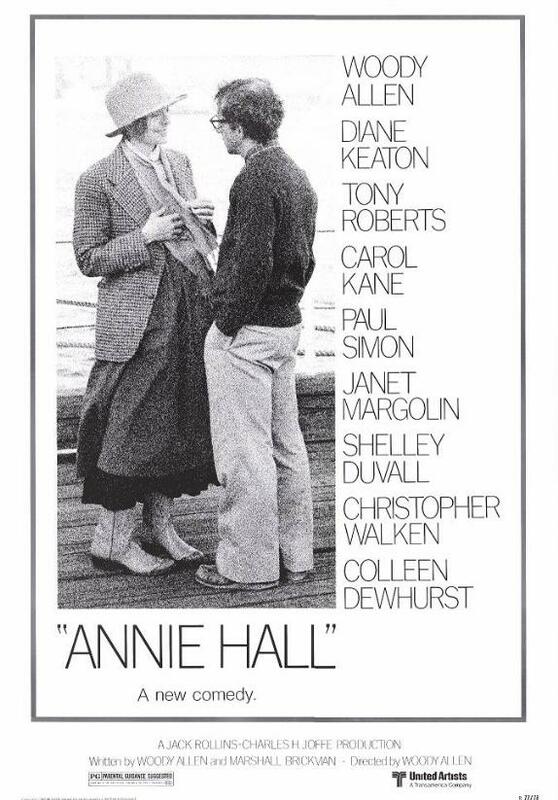 Synopsis: Neurotic New York comedian Alvy Singer falls in love with the ditsy Annie Hall. Did You Know? In the final credits, Christopher Walken’s name was misspelled as “Christopher Wlaken”. Quotables: ALVY SINGER: Honey, there’s a spider in your bathroom the size of a Buick! God, I can’t believe I liked this movie the first time I watched it. This is the most Woody-Allen-y of Woody Allen films. It’s pretentious, neurotic, sexist, self-absorbed, pedantically philosophical, bigoted, ego-stroking, sanctimonious, hipster-ish, and – Woody Allen’s favourite word – “ironic”. There is seriously a scene were Annie calls Alvy at 3 a.m. to ask him to kill a spider. After he kills it, Annie sobs into his “heroically” outstretched arms, telling him that she misses him. Blegh. Oh, and let’s not forget about Alvy telling Annie that she’s moody because she “must be on her period”. Twice, this happens twice. Double blegh. But the film is not entirely without it’s merits. Diane Keaton is really great as the titular character.